Jeddah, October 2011: Art aficionados had a chance to attend the Alla’ma bil Qalam Arabic and Qur’anic Calligraphy Exhibition organized by the Consulate General of Pakistan. The four-day exhibition, which was held at Jeddah’s Sheraton Ballroom, was installed in order for Pakistan to showcase its achievements but also in consideration of global interest surrounding the art. 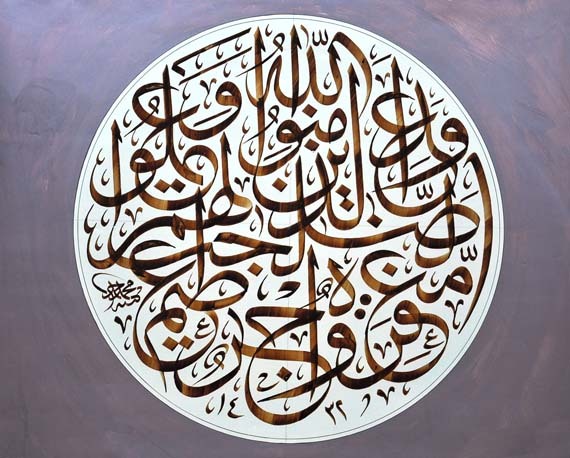 Thirty-one calligraphers exhibited their works in the Khat Kufi, Deewani, Thulth, Naskh and Nastaleeq styles and 16 of them held their workshop alongside their work presentation.